Notably, oil ministers from Israel, Greece, Egypt, Cyprus, Jordan, Italy, and the Palestinian Authority took part, and are set to participate again at another meeting in April. Reporting from the conference, Bloomberg described a common agreed upon goal "to work together to monetize reserves by using existing infrastructure and adding more capacity." Also significant is that this marks the first time an Israeli energy minister has visited Egypt since 2011, when "Arab Spring" demonstrations eventually brought down Hosni Mubarak, ushering in uncertainty and chaos, including brief Muslim Brotherhood rule, which for the first time brought the future of Egypt's peace treaty with Israel into question. 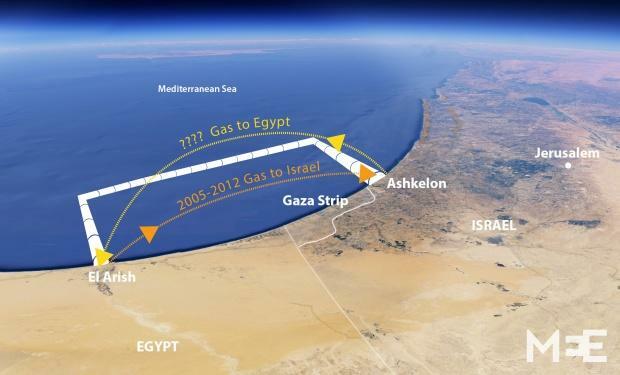 Steinitz described further to Bloomberg that, "Construction could begin as early as next year on the pipeline that would transport gas from Israel’s offshore Leviathan and Tamar fields to Egypt’s existing liquefied natural gas plants for processing and re-export." And separately, concerning the bigger project of the sub-sea East Med pipeline supplying energy-hungry Europe — first proposed by Greek energy minister Yannis Maniatis in 2014 — Steinitz confirmed it is moving forward, touting the ambitious project as "the longest and deepest gas pipeline in the world," and an initial estimated cost of $7 billion, to be financed by "private companies and institutional lenders," according to the Israeli energy minister. The separate, long in the works "East Med Pipeline" that could turn the region into an energy hotspot supplying Europe, via The Weekly Standard. 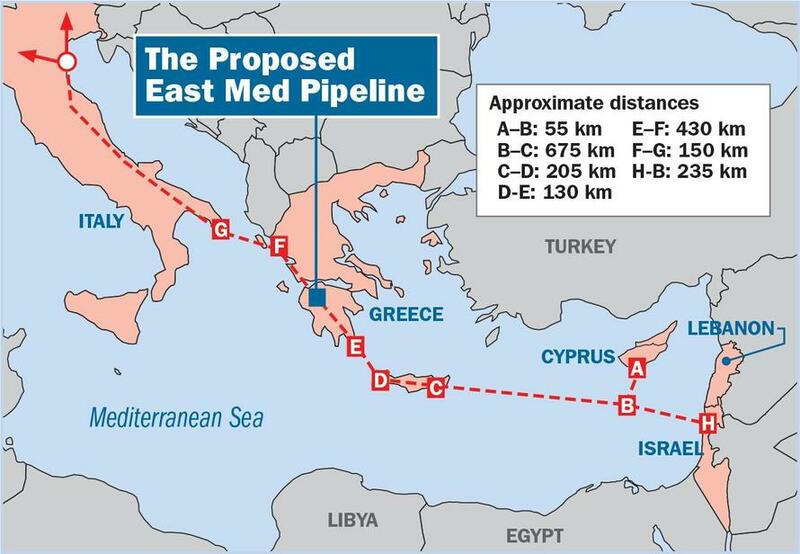 The underground, sub-sea pipeline is proposed to connect Israel, via Cyprus, to Greece and Italy, in a massive construction project estimated to take five or six years to complete, with work to begin as early as next year. The transformation of the eastern Mediterranean into an "energy hotspot" could have huge global geopolitical implications, especially given that currently the E.U. relies on Russia for a third of its gas. It's especially southeast Europe that's been entirely reliant on Russian gas, given its lack of infrastructure. In the past during shortages — or especially during a rare January 7, 2009 delivery shutdown by Gazprom - southeastern European countries experienced industrial shutdowns as well as broad swathes of residential areas without heat, victims of worsening tensions in Ukraine. No doubt the EU ministers that have driven the major East Med pipeline have as a prime motivator Europe's energy independence, something Israel is keen to push forward as well, given its own delicate diplomatic dance with Russia in Syria and the broader Middle East.